Those are some pretty pictures Octo, Thank you for sharing. Thanks for the wonderful pics Octo. 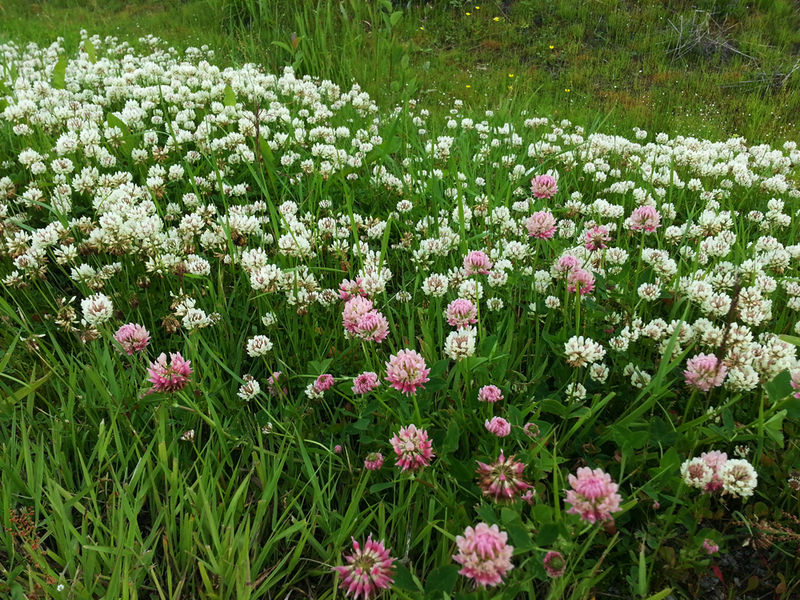 I use to drink red clover tea which is purported to purify the blood and liver, which I should start making teas again. Now, white clover is a whole other animal it seems. Quote: Like many clovers, white clover contains the estrogenic isoflavone genistein which has cancer-preventative and antioxidant activity. But, the leaves and flowers, as with most other plants, have different health benefits. I've learned a lot from posting these photos and reading about the plants. Lots of edible and medicinal stuff! (07-16-2017, 05:59 PM)Octo Wrote: I've learned a lot from posting these photos and reading about the plants. Lots of edible and medicinal stuff! Isn't it reassuring to know that nature provides? I promised you, US, to take a pic of the rocks close to the house. 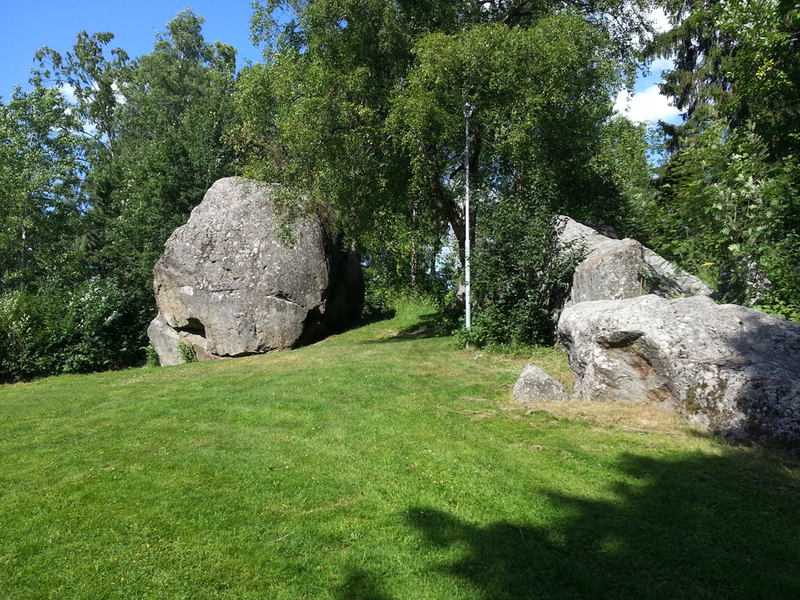 These boulders are a common sight around here. Looks like left-overs from the glacier retreat. 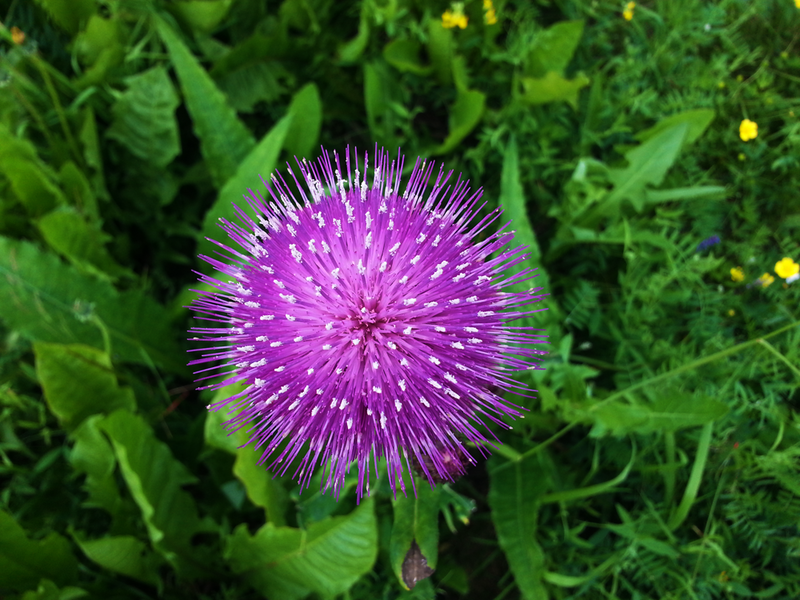 Quote: The plant was considered a possible cure for sadness. Nicholas Culpepper in 1669 said that it "makes a man as merry as a cricket"